It doesn’t matter how mankind evolved: the cold arouses an instinctive need to spend more time on ourselves – known as cuddles and personal attention too. There are few things that will stir and stimulate our sixth sense, in other words comfort, in the same way as thinking of a hot bath, a layer of steam that fogs both the mirror and the windows, the intense aroma of oils, a towel in fine cotton that’s been left out for us. The bathroom is in fact the most sacred space in the home, in which privacy, routine and relaxation come together for your benefit. 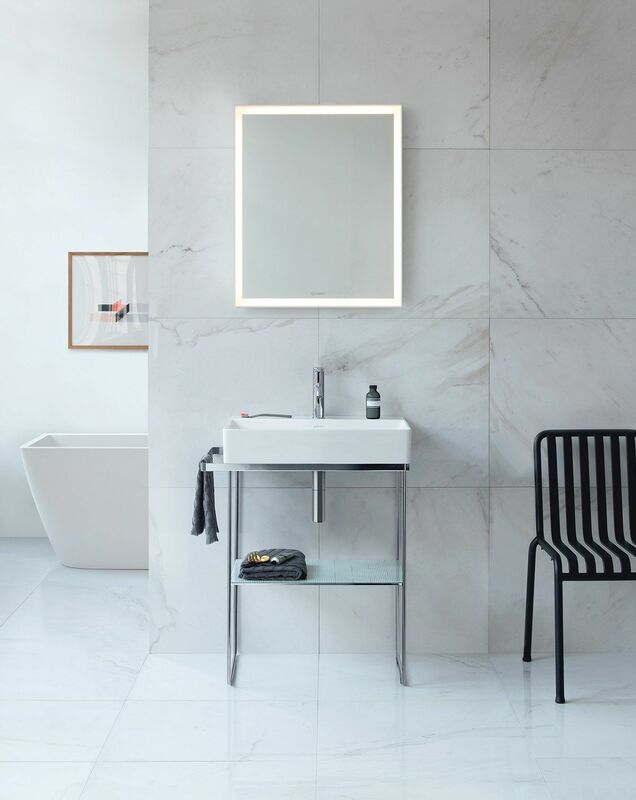 Mood lighting and a shower gel that reminds you of last weekend’s trip to the spa aren't enough – even if they will undoubtedly come in handy: the best ally you could possibly desire is a bathroom designed with great attention to detail. Not just in wintertime. The success of the German brand Duravit relies on long-standing ties with local craftsmen as well as a powerful drive towards the future and the international market: design. Duravit’s history harks back to an astonishing two hundred years ago, to the time when Georg Friedrich Horn set up an earthenware workshop. Expanding outwards from its early days in the Black Forest, in time the brand began to specialise in ceramic bathroom fixtures. This is how it soon established itself on the international scene. 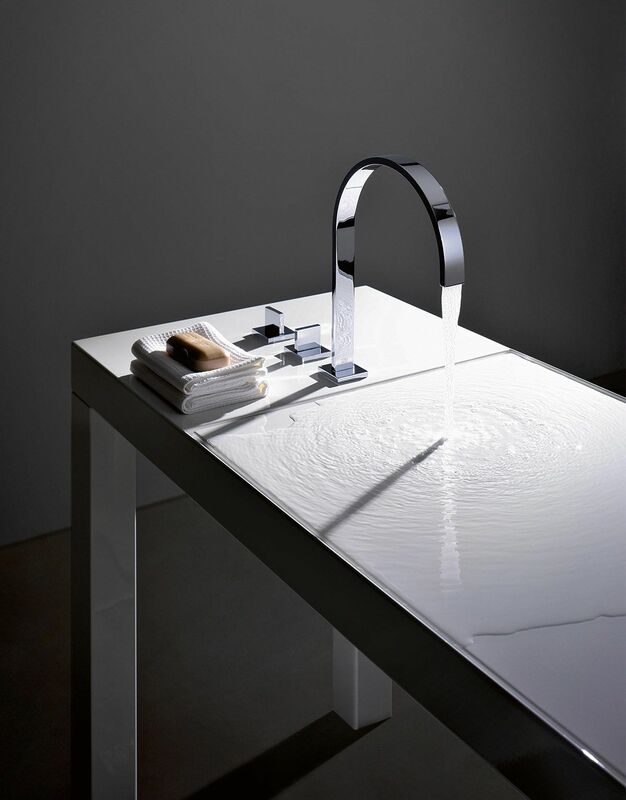 Nowadays Duravit, which was officially registered in 1960, manufactures cutting edge bathroom fixtures and furniture series with crisp aesthetics, created in partnership with some of the top international designers. Look at the Cape Cod series designed by the iconic Philippe Starck. It’s inspired by the New England area that bears the same name, a place where land and see merge. This is the spirit behind Starck’s line, which combines ceramics with solid wood in a unique proposal and presents a smooth organic silhouette, to rest body and mind. Alape’s history also begins a long time ago: the firm was established in 1896 and it soon broke several records in the field of bathroom interiors, thanks to ideas which were revolutionary at that time and introduced features we can't live without nowadays. 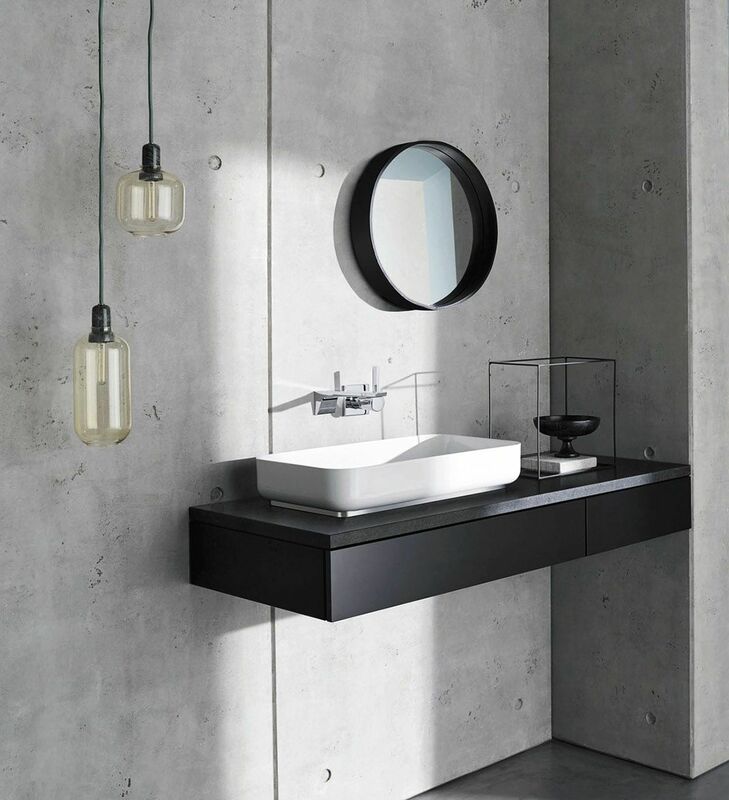 Alape in fact, designed the first recessed washbasin in history, as well as the first washstand to include a cabinet and a washbasin: an idea that was destined to change the world of bathroom interiors for ever. Quality is a constant process. The company’s main headquarters are in Lower Saxony, a region famous for small-scale production of vitrified steel, hard-wearing as well as elegant, which Alape uses for many of its products. For over a hundred years, Alape has been manufacturing vitrified steel with great expertise, until it becomes tougher than granite and emerald, combining the toughness of steel with the strength which is intrinsic to glass. Without a doubt, Betty Blue is Alape’s most sensational and luxurious product, and it goes without saying that it’s manufactured entirely out of vitrified steel. 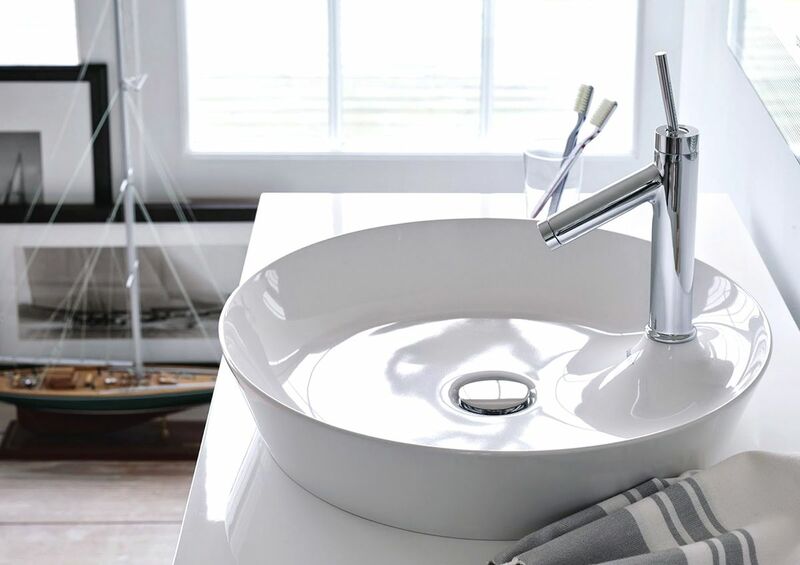 Betty Blue is a flat-top wash-basin that whether seen from afar or up close compares favourably with any designer table. Bette is without a doubt the most recent firm in the field of luxury bathrooms. A factor that works in its favour: Bette considers the bathroom an integral part of the home, a fully-fledged living room. So, you have to give it the same amount of attention as an interior designer would give to any of his projects. 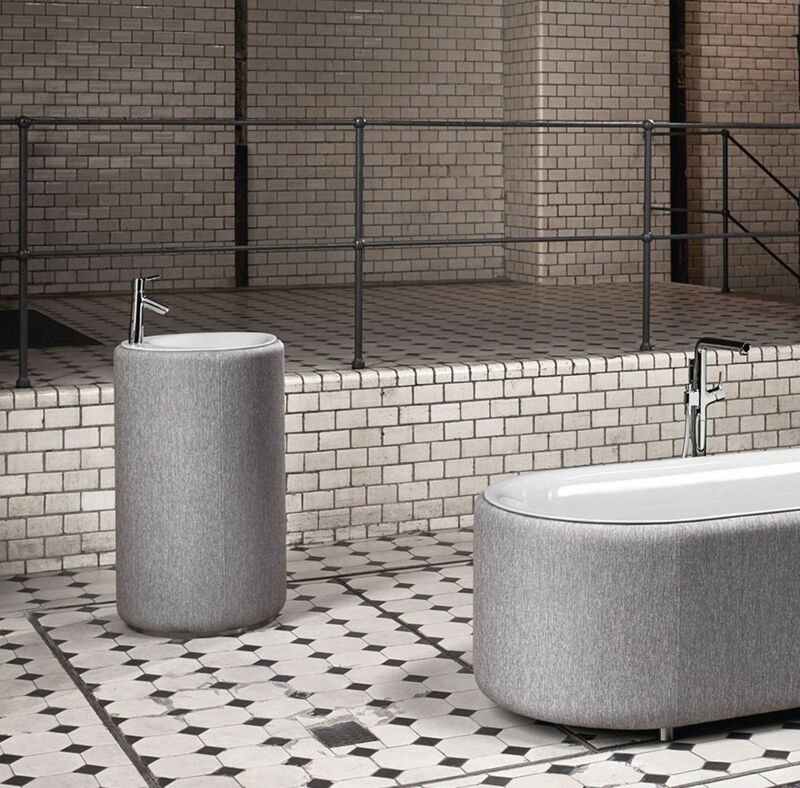 This is how the Couture line was born, to include a free-standing wash-basin and a bathtub in titanium-vitrified steel, clad in a fine padded fabric, especially designed to be waterproof and resistant to high temperatures. Of course, Bette relies on cutting edge manufacturing techniques and uses only recyclable materials without solvents or harmful chemical substances. a smart bathroom shouldn’t be a luxury, but, at the same time, it should feel luxurious, time after time. This is how the bathroom becomes the perfect juncture where the experience of long-standing firms meets the vision that design invests in every single detail.